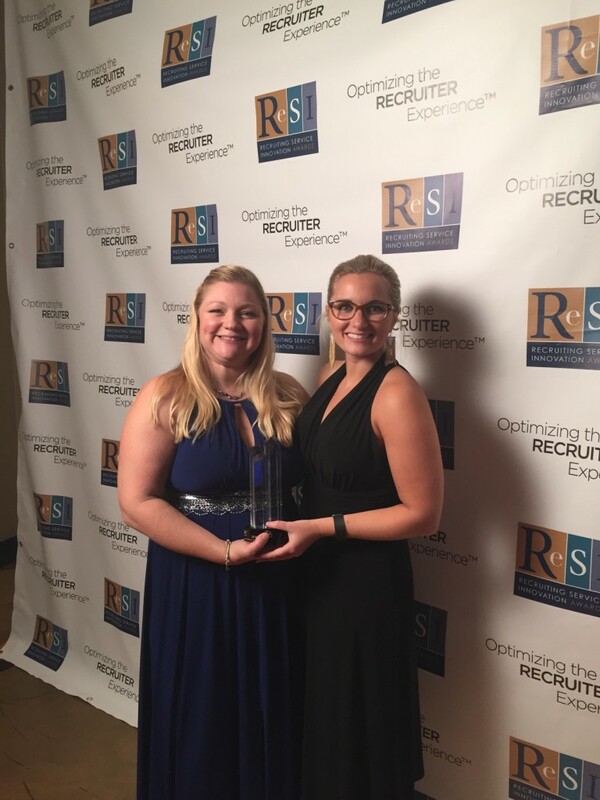 NEW YORK, NEW YORK--Recruitics, a leading provider of recruitment marketing analytics and automation solutions, won the Recruiting Service Innovation (ReSI) Award for their product Recruitics AnalyticsTM at the TAtech Conference and Expo on Sep. 20 in Las Vegas, Nevada. Recruitics Analytics is an industry-leading recruitment data and insights platform that allows HR and talent acquisition professionals to dig deep into their job advertising data. This recruitment analytics tool helps these professionals access campaign- and job-level data which allows them to make appropriate changes to their strategies based on data-driven decisions. The ReSI awards are conducted by The Association for Talent Acquisition Solutions (TAtech), the trade association for the global talent acquisition solutions industry. TAtech is formally known as the International Association of Employment Websites (IAEWS), and participation in the competition is open to all organizations worldwide that operate within this space. Last year, Recruitics won the ReSI for Most Innovative Enterprise Solution for Recruitment, making this year’s honors their second and third such in two years. You can find Recruitics next at the HR Technology Conference and Expo in Chicago, Ill. between October 4-7 at booth 545. Learn more about Recruitics by visiting www.recruitics.com. Recruitics provides recruitment marketing analytics and automation solutions that makes it easy for companies to achieve amazing results from their recruitment advertising efforts. Founded in 2013, Recruitics works with the nation’s largest corporations, staffing agencies, and job boards to drive more applicants to their online job postings, hire great talent, and meet their recruitment goals. Recruitics also partners with many of the leading ATS systems in the US to include iCims, Kenexa, HealthcareSource, and Greenhouse, to provide seamless integration and tracking. The company is headquartered in New York City, NY and is privately owned and operated. You can find Recruitics online at http://recruitics.com/.